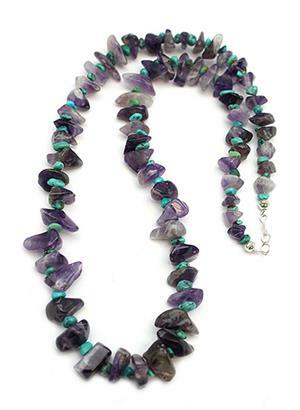 This necklace is strung with amethyst and chinese turquoise nuggets. They measure from 22" to 24" long and are strung by Navajo artisan Sandra Francisco. Size, shape and color shade of stones may vary.